I thought some of you might be asking “why is my trainer putting me on the treadmill and making me go faster and slower in all these different ways” so i decided to give you all a little information on the topic of interval training. Interval training is defined as physical training involving bursts of high intensity work alternated with periods of low intensity work, or recovery. It is a method used by many top athletes incorporating a wide variety of physical activities and has been proven to be highly effective in weight loss. This type of training utilises both the aerobic and the anaerobic energy systems of the body; the aerobic system uses oxygen to convert carbohydrates from various sources throughout the body into energy, while the anaerobic system draws energy from carbohydrates (in the form of glycogen) stored in muscles for short bursts of activity such as sprinting, jumping, rowing, lifting heavy objects etc. Besides helping you to achieve great results with weight loss and cardiovascular fitness, interval training has been shown to have many positive effects on the body including increased endorphin production, decreased resting pulse, increased stroke volume, decreased blood pressure, lower cholesterol rate and a stronger immune system to name a few. And these effects have been shown to have an increased effect over time, so its important to keep at it! It is also a perfect training option for those who lead busy lifestyles and don’t have a lot of time to spend exercising as it burns calories quickly and you can have a really effective workout in a short amount of time. When exercising using interval training you must consider four main points: the intensity (speed), the duration (distance or time), the duration of the rest (recovery), and the number of repetitions performed. As you improve, you can increase the difficulty of your workouts by changing the parameters (eg: shorter rest times, faster speeds, etc). Interval training can be performed with nearly any exercise and can be easily tailored to suit the specificity of an individual or group. Different types of interval training affect different energy systems in the body, and in the gym we use a number of measurable and reproducible tests to monitor your progression (ie: the cardio tests we do with you in your session). 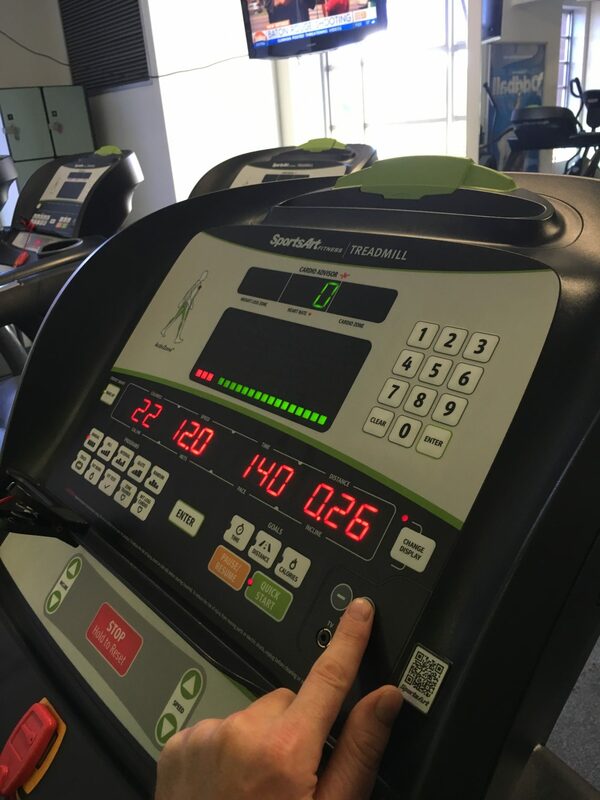 So the next time we have you sweating on the bike or treadmill, and we are standing next to you pressing buttons to change the speed and resistance while tapping data furiously into our ipads, just know that there is a method to our madness!